Wow… Office Web Apps are available on Windows Live Currently its support only English… More languages and locales will be added over the coming months. This release includes Word, PowerPoint, Excel and OneNote. This allow you to edit your Word, Excel, OneNote and PowerPoint documents on Online. 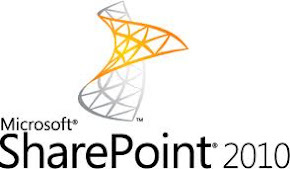 As I discussed my previous post the Client Object Model allows client application to interact with SharePoint content directly. The ADO.NET Data Services Framework helps to query SharePoint Foundation data via client application. In this example you will see .NET Managed client by create Windows Form application, and you will see how to retrieve list items and updating the items via Client Object Model. 1. Open Visual Studio 2010 by going to the Start Menu | Programs | Microsoft Visual Studio 2010 | Microsoft Visual Studio 2010. 4. Select Windows Forms Applications from the Project Templates. 5. Go to Visual Studio top menu bar, select Data | Add New Data Source… to add new SharePoint ADO.NET List Data Service. 8. Click Finish button in the Data Source Configuration Wizard. 9. Go to Solution Explorer, expand References. and Right click on System.Data.Services.Client and select Remove. 12. Got Visual Studio Data menu and Click Show Data Source System will open the Data Sources window showing the service reference. 13. Drag and drop Tasks from the Data Sources window to the Form window. This will insert the Tasks DataGrid into the Form. 14. You can Remove columns by clicking Edit Columns window, Keep only following columns as shown in the screen shot. 18. To Update changes from Data Grid to go Tasks DataGrid, select the BindingNavigator right click on the Save button and Select Enable. 21. Press F5 to start debugging the application. 22. You should see the application window with the list of Tasks items from SharePoint List. 23. Click on the first tasks and change the Title value from Faizal from Rafi and click Save and go to SharePoint Tasks list you will able to view the updates. If you are analysing the IIS log file by default the sc-status and sc-substatus not recorded in the log files, you need enable at Advance log by fields level to record. When you enable fields level the system will provide Http return result code. The code details given below. This time the first request is returning a status of 301 (Object Moved Permanently) and a sub status of 0 which is not used. The client browser must take more action to complete the request. For example, the browser may have to request a different page on the server or repeat the request by using a proxy server. 404 - Not found. 404.0 - (None) – File or directory not found. Deploy Hello World Application in the Staging Environment. Gives a Warning Message " While your deployment is stopped, it continues to accrue charges. Please delete the stopped deployment if you no longer wish to be charged for it. For more details visit Windows Azure Pricing FAQs"
Click Run button System will deploy your solution and enable WebRole to be ready. Click Website URL to test your Cloud Application….